Houston, we have a problem! When the astronauts aboard the International Space Station need help from Earth – which is often, because the ISS is a huge, complex vehicle orbiting the Earth at >17,000 miles per hour! – they turn to the experts in Mission Control. This highly trained team of scientists and engineers, who’ve spent years of their lives learning every last detail of their aspect of the Space Station, is on-call 24 hours a day to assist the astronauts when necessary. 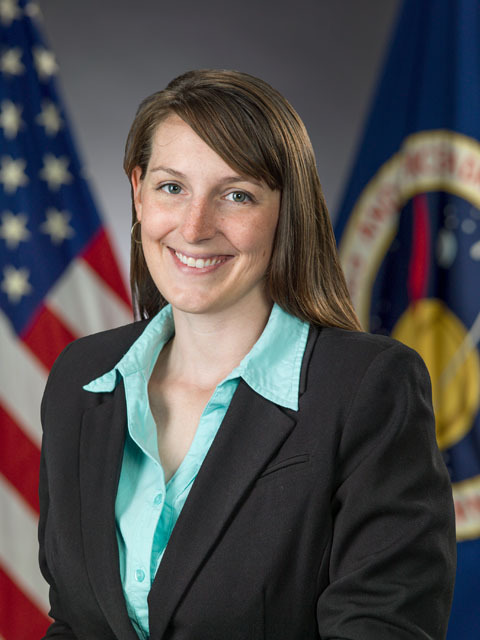 Ever wonder who those people are, or how they became Flight Controllers? Keep reading! What is your job title? How would you translate your job title into everyday language? I am an Environmental and Thermal Flight Controller for the International Space Station. What that really means is that I sit in the Mission Control Center for the ISS, monitoring life support systems, temperature and cooling systems that help the astronauts onboard stay alive and the equipment onboard operate properly. Have you seen the movie Apollo 13? Remember where they say “Houston, we’ve had a problem.”? They’re talking to those guys (and girls!) on the ground wearing the funny headsets and staring at multiple computer screens. That’s what I do. 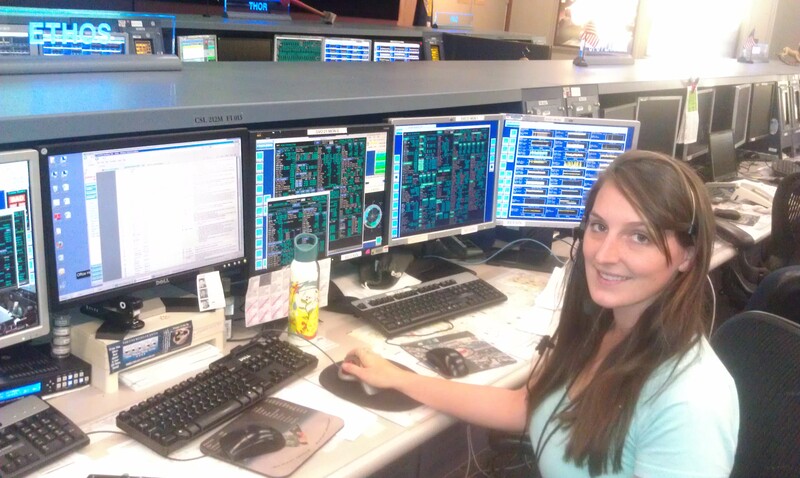 When I’m not in the control center, I get to work on many different projects that range from updating procedures that we follow when operating the Space Station, to working with commercial space companies and training astronauts. So far, my favorite projects include working with our commercial and international partners, integrating the visiting vehicles coming to the ISS. I’ve gotten to work with the European Space Agency, the Japan Aerospace Exploration Agency, Russian Federal Space Agency, SpaceX, and Orbital Sciences Corporation. We have great partnerships with all and all have led to successful missions. I (and the astronauts on ISS!) talk to aliens! Unfortunately, I don’t have the pleasure of talking to, or knowing of, any extraterrestrials out there. If anyone else from NASA has, they haven’t filled us flight controllers in on the secret yet. What is the most exciting moment in your career so far? I have the opportunity to mentor students and teachers participating in NASA’s Reduced Gravity Education Flight Program. 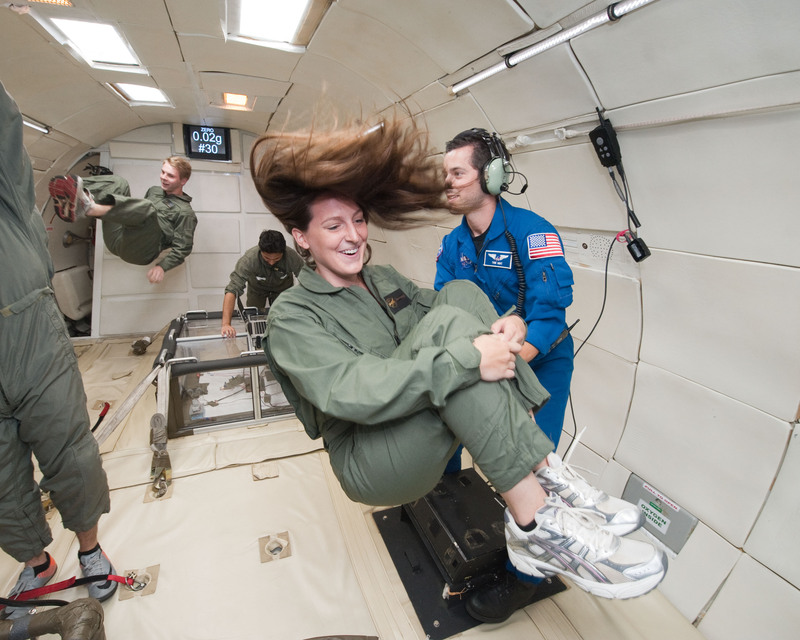 This amazing program gives students and teachers opportunities to test experiments that may end up on ISS (in a reduced gravity environment) by flying on NASA’s C-9, “Weightless Wonder” aircraft. 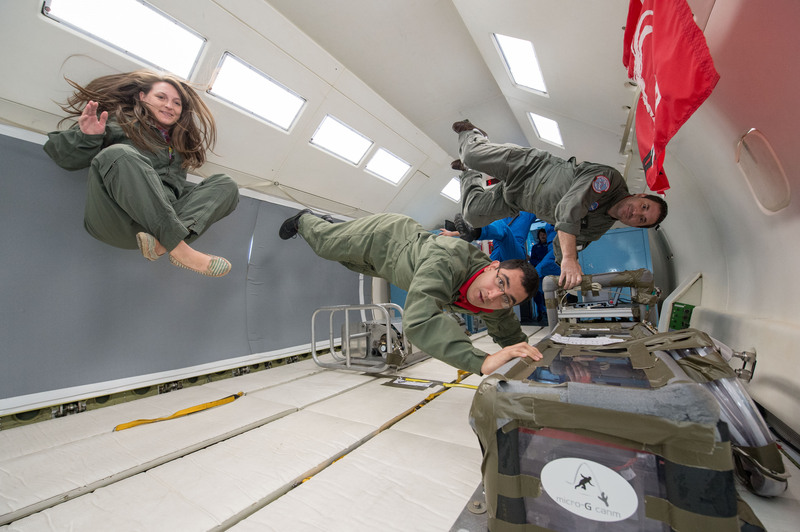 In short, I’ve gotten to experience zero gravity! I’ve participated in the program multiple times now, and have seen very successful experiments fly – even a few that have made it to ISS. My high school physics teacher, Mr. DiPiano, inspired me to pursue physics in college. He was one of those teachers who did a lot of experiments, including ripping a tablecloth out from under a table set with china dishes to describe inertia and letting us spin in our chairs, pulling our arms in and out, so we’d experience angular momentum at work. I remember getting randomly assigned to his class and trying my hardest to get out of it, thinking I’d really dislike it. It turned out to be the most inspirational class I’ve ever taken. What do you think has been the most important eventin space exploration in the last 50 years? I’d definitely have to go with the Apollo 11 mission and the first walk on the moon for mankind. It was one of those events that everyone who witnessed it remembers and was inspired by it. The kids who saw the moon landings are the scientists and engineers at the foundation of the Space Shuttle and International Space Station Programs. 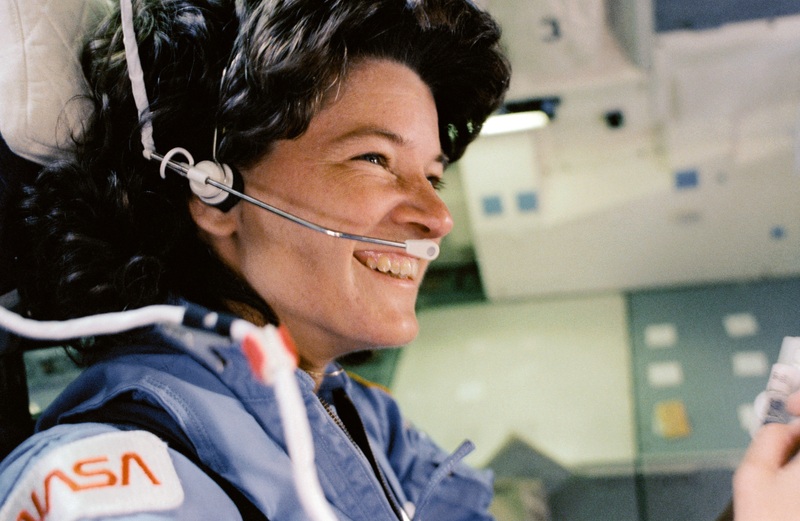 I also give a lot of credit to Yuri Gagarin’s first flight in space (though that was more than 50 years ago), and to Valentina Tereshkova and Sally Ride as the first Russian and American women in space. All three of them were really inspirational. What do you think will be the biggest accomplishment in space exploration in the next 50 years? Mankind walking on Mars will be a huge accomplishment, and I think the public will respond very favorably to it. It will be another inspiration catalyst, like the Moon landings, sending us even further into space. I think the biggest accomplishment, however, will be creating and sustaining whatever space stations we need along the way to help get humans to Mars. Whether we are able to sustain the International Space Station that long or we create a new station, the amount of work that goes into monitoring and operating these stations will be immense. The stations, how we care for them, and what we learn from them will be our stepping stones to Mars and beyond.